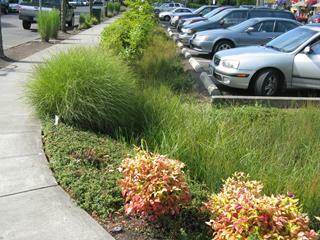 There is increasing interest in the use of Low Impact Development practices to manage urban runoff. However, those considering implementing the practices continue to wonder how their use will affect the bottom line. In this project the capital and life cycle costs of seven Low Impact Development (LID) practices and seventeen design scenarios were evaluated based on a detailed assessment of input costs, maintenance requirements, rehabilitation costs and practice designs relevant to Canadian climates. The LID practices evaluated include bioretention cells, permeable pavement, infiltration trenches and chambers, enhanced swales, rainwater harvesting and green roofs. Dry swales and perforated pipe systems were considered to be similar to bioretention and infiltration trenches, respectively, and therefore were not evaluated as separate practices. The savings from LID approaches associated with improved aesthetics, air quality, community livability and other public benefits were not assessed, as these savings are best evaluated in relation to specific case study examples. A spreadsheet decision support tool based on the cost calculations gathered during this study was developed to assist industry professionals estimate the capital and life cycle costs of site specific LID practice designs. The tool provides users with a more comprehensive understanding of all relevant costs, facilitates cost comparisons, and allows users to optimize proposed designs based on both performance and cost.